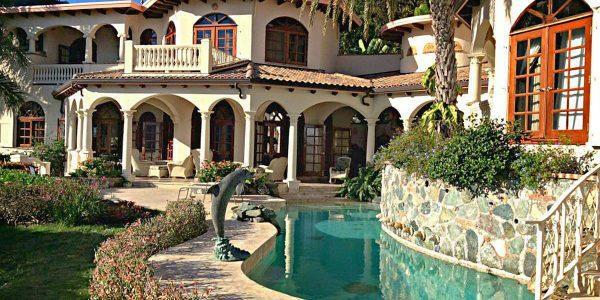 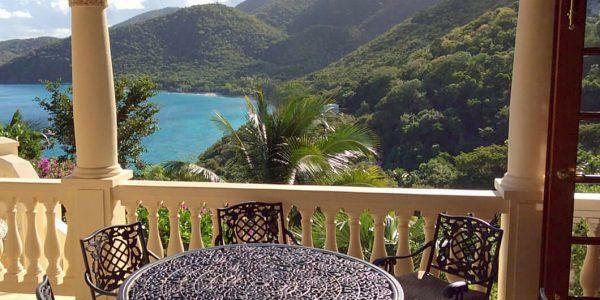 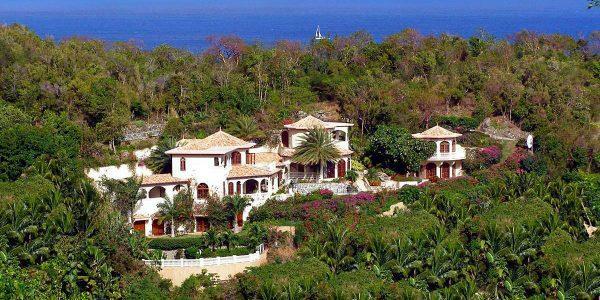 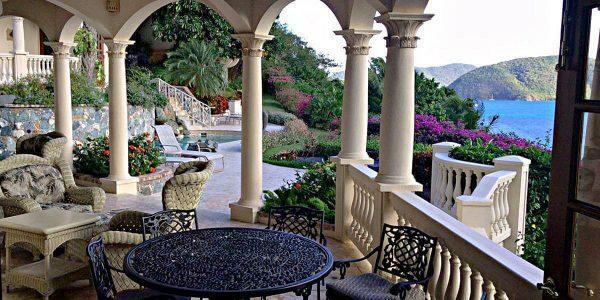 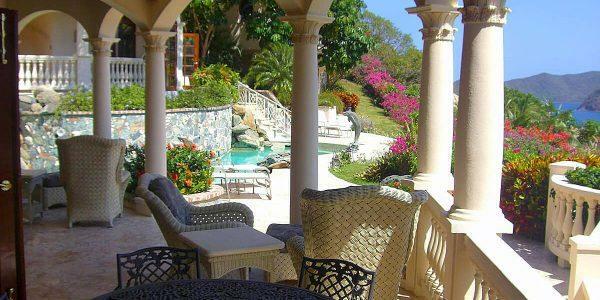 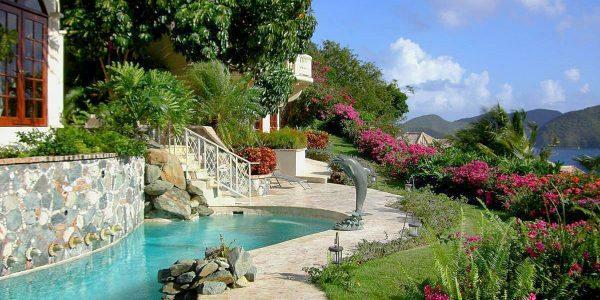 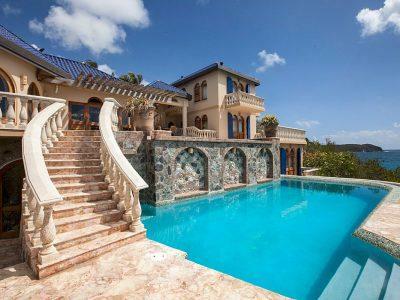 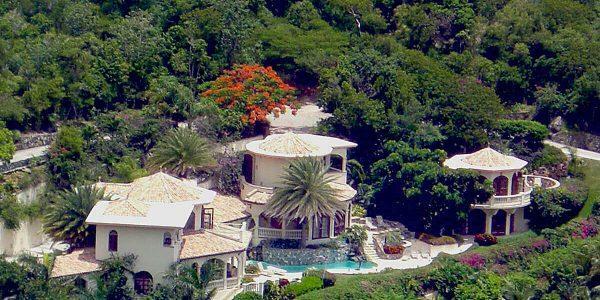 The ultimate six-bedroom Caribbean mansion is located on the North Shore, in the exclusive gated community of Peter Bay within the boundaries of the Virgin Islands National Park. 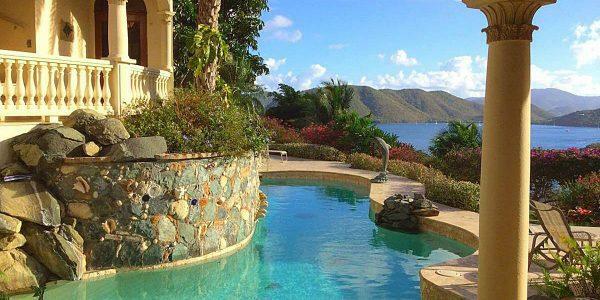 Villa La Susa offers a magnificent ocean panorama, overlooking the sparkling turquoise waters of Cinnamon and Francis Bays with a backdrop of Tortola, BVI. 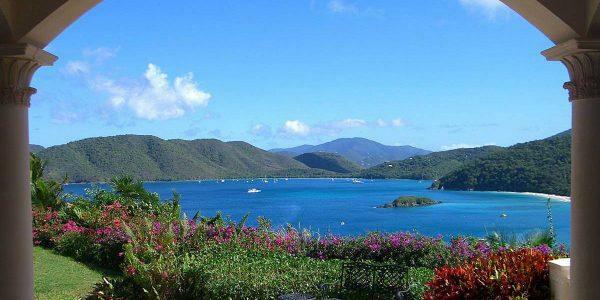 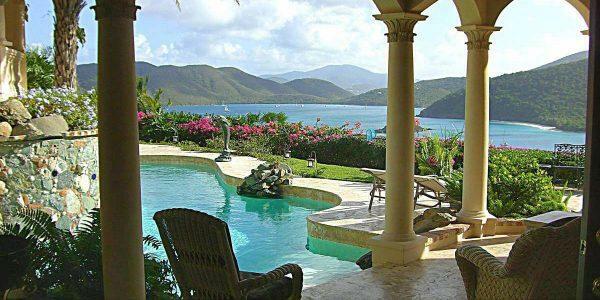 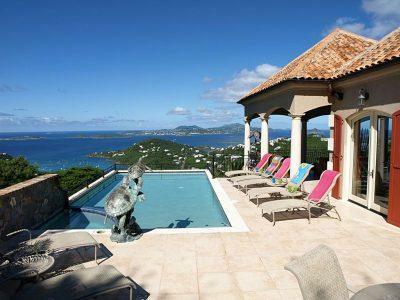 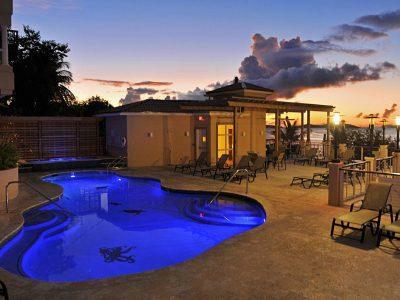 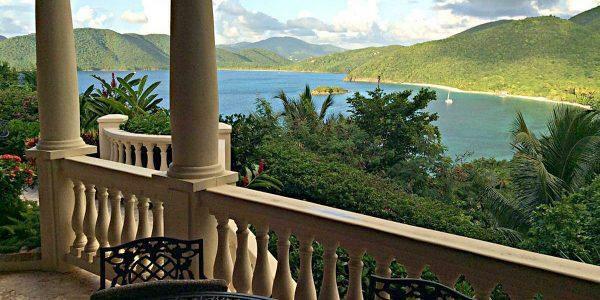 To the North, Villa La Susa provides vistas of Sir Francis Drake Channel and Jost Van Dyke. 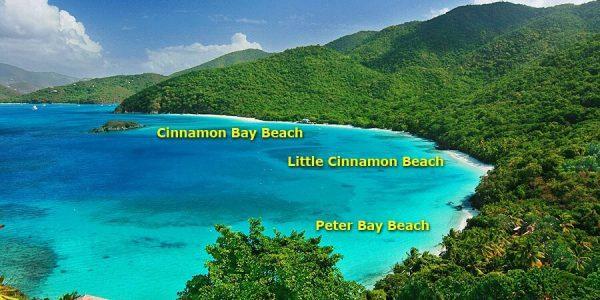 Only steps away guests can enjoy the beautiful palm and sea grape lined, white sand beach of Peter Bay. 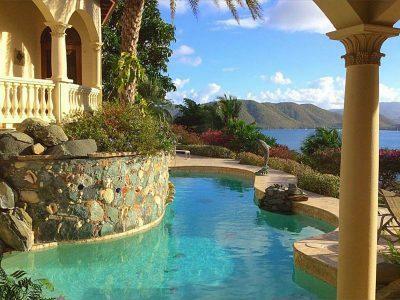 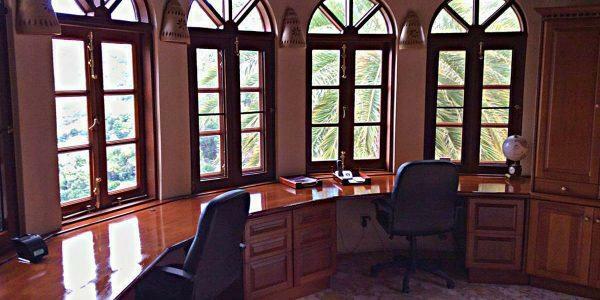 Villa La Susa is perfect for honeymooners and couples desiring a romantic idyllic getaway or for reuniting with old friends and family members. 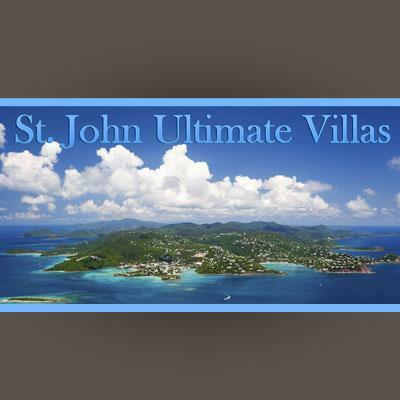 Villa La Susa may become a tradition! 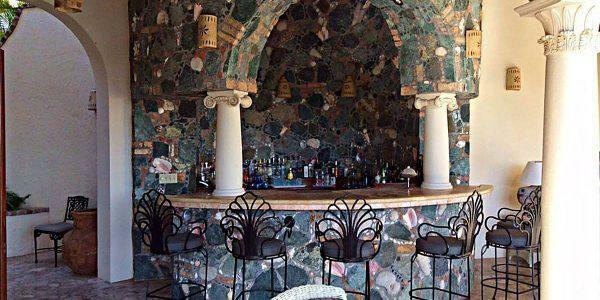 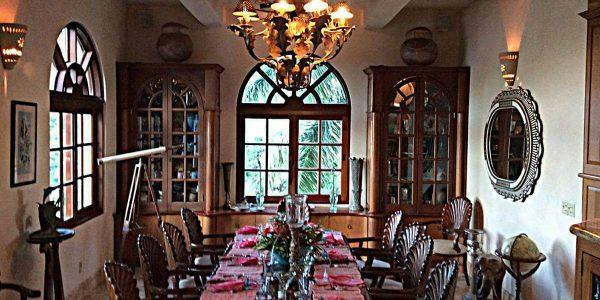 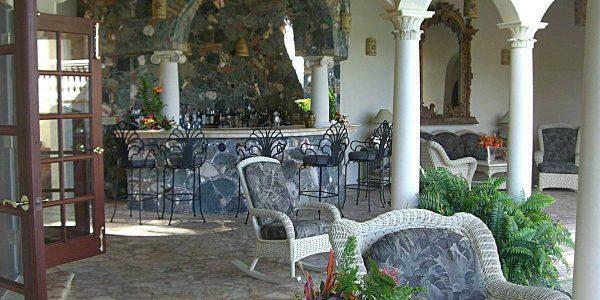 For guests desiring the ultimate in ambiance, Villa La Susa defines the upscale St. John island experience. 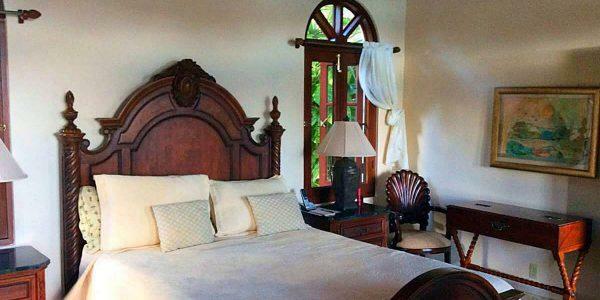 Villa La Susa’s six air conditioned queen and king-sized bedroom suites are all beautifully designed yet different, each offering its own special charm and azure ocean view. 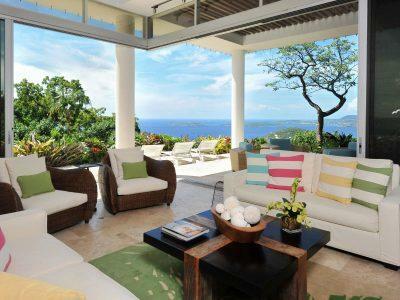 Custom appointments and elegant furnishings grace the bedrooms, which offer private balconies or terraces with seating. 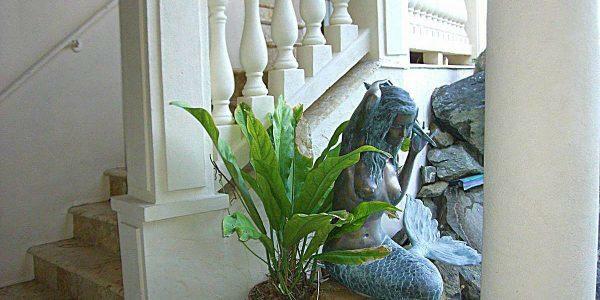 The baths feature designer sinks complete with detailed sea life- motif faucets. 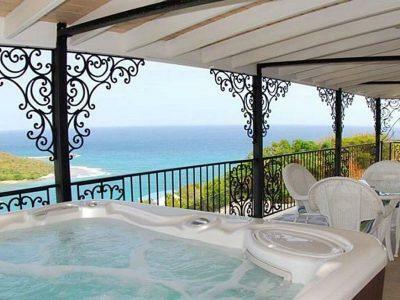 All baths have West Indian inlaid mosaic stone or coral showers and custom tile work. 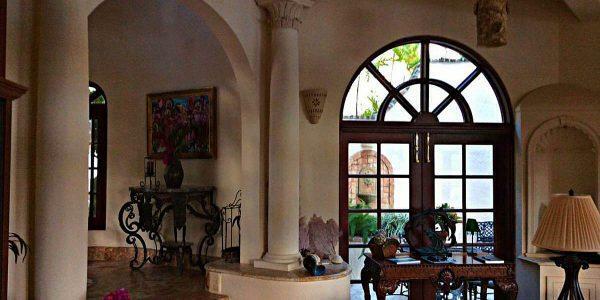 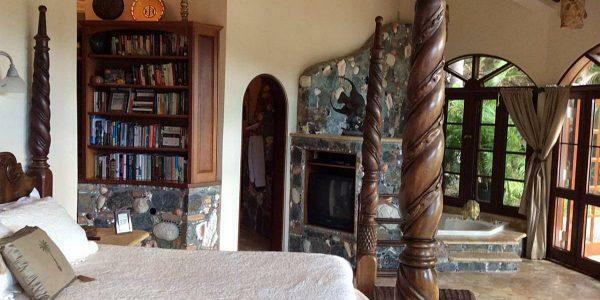 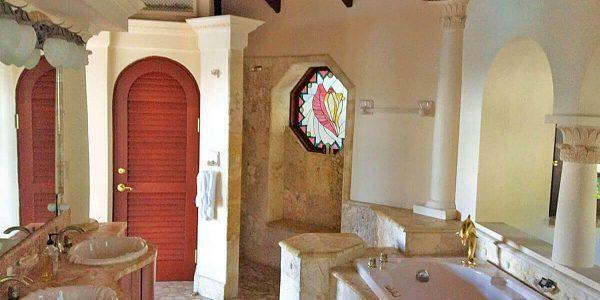 Artisan designed stain glass windows, jacuzzis, outdoor native stone showers, wrought iron chandeliers, and wet bars are featured in some of the bedroom suites. 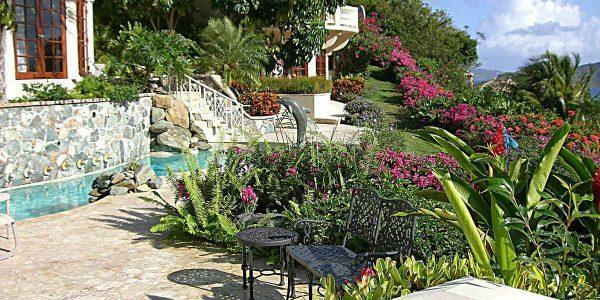 The lower lawn serves as a perfect tropical setting for weddings or parties. 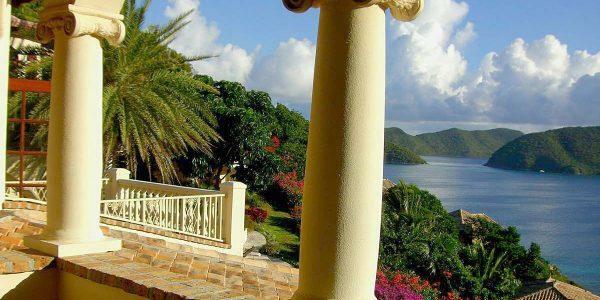 Encompassed by elegant balustrades amid lush flowers and palm trees, the green lawn with spectacular ocean vistas will delight any bride and groom. 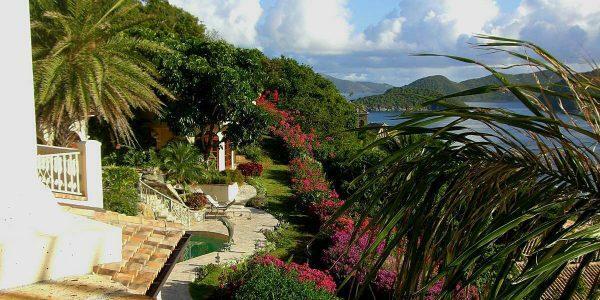 Weddings of 50 persons or less are acceptable for an extra fee, subject to the consent of the owners and adequate supervision. 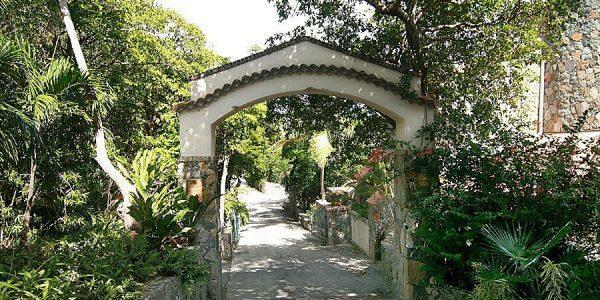 Villa La Susa is a magnificent location for your dream wedding…. 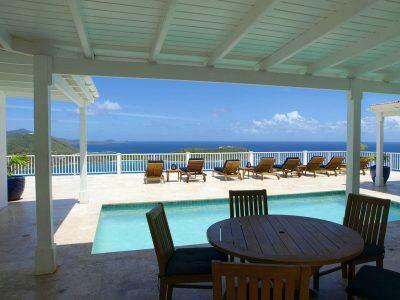 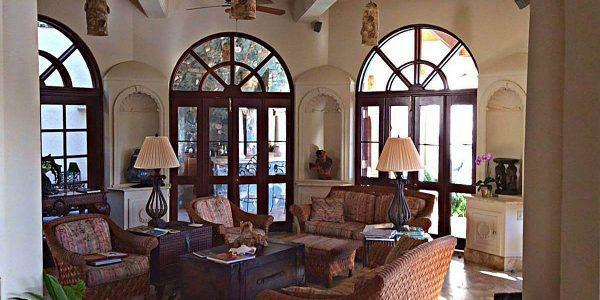 Peter Bay’s Villa LaSusa is also available for St. John destination weddings.